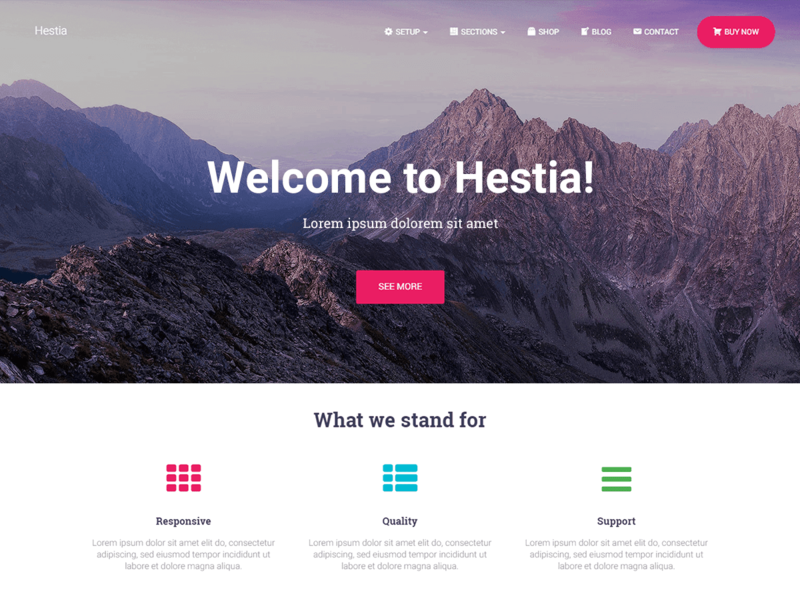 Hestia is one of the great fully-featured, fully responsive and highly customizable WordPress themes which is offered by Themeisle in free as well the premium version. But for a normal blog or simple website, free version of the theme is more than enough. I have used this WordPress theme on my few blogs and it works just fine. But you don't get an option to remove the footer credits of Hestia in its free version. There are many tricks and articles out there which explain the removal of the footer credits of various WordPress themes. But I didn't find a single resource which explains the way to remove the footer credits of the theme Hestia. I researched a lot and finally got the complete solution using which you can remove the existing footer credits from the theme Hestia and replace it with a custom one. First of all, you have to get logged in into your wp-admin. 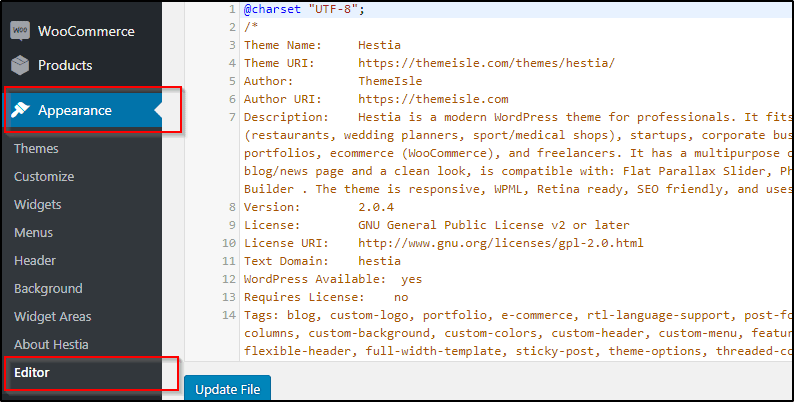 Install the theme Hestia if you haven't installed it already and go to the next step. After you login to the wp-admin and install the theme, Select the option Appearance > Editor from the admin panel. From the right hand side Theme Files, try to find out the file named as class-hestia-footer.php which is generally in the folder inc > views > main. Open the file class-hestia-footer.php and there you go, start editing the file as per your requirements. Now for adding the custom copyright credits to the theme Hestia, you will need to do some code changes in the file class-hestia-footer.php itself. You have to edit the file from the line 128 to 134 approx. For example: I have to make the footer credits as "Copyright © 2018 | YourSite" where YourSite is my website name and the YourSite.com is my website address. You can also copy the below code and paste it in your class-hestia-footer.php from the line 128 to 134. You can replace YourSite with your website name and http://YourSite.com with your website address. Well, now, hit Update File and you should see the changes. If you just want to hide the default footer credit and don't wanna show the custom copyright text then it's even more simpler than that. Log in to the wp-admin and go to Appearance > Customize > Additional CSS and just add the following codes and hit publish. You can just copy and paste the below code in the Additional CSS and it'd start working. 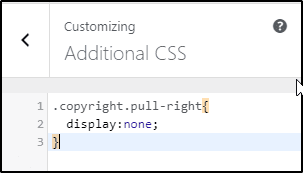 As soon you paste the code, default footer copyright will not appear in your website anymore. I'm not a programmer or coder. I just got this working for me. If you have any suggestions or better option for the same then let others know in the comments below. Hi, this way is working well, thx a lot. But I've got one problem, I have to edit this after every update from hestia-theme. Is there a way to make this changes constantly? Yes, after every update you will have to do the changes. But, using a child theme might resolve the problem. Thanks buddy. Made my day. Yes, I've writeen this to help people who are in same situation once I was.